It is estimated 20 million people celebrate Kwanzaa worldwide (18 million in the US alone). Kwanzaa was originally limited to smaller merchants, however the holiday has now been recognized by larger retailers. Kwanzaa gifts tend to move away from electronics and instead lean toward sentimental, thoughtful gifts. About 15% of what is spent on Christmas is spent on Kwanzaa, which means about $77 per person who celebrates. 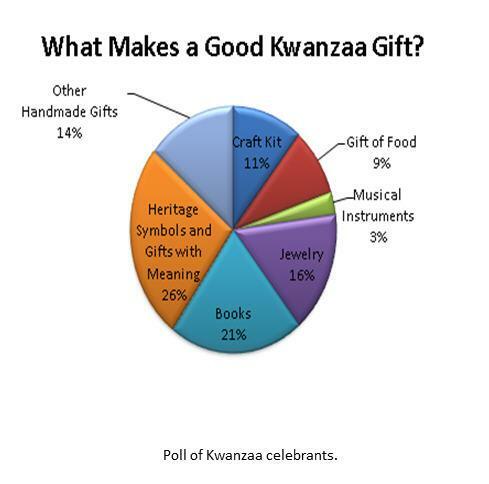 About $1.4 billion is spent on Kwanzaa each year. 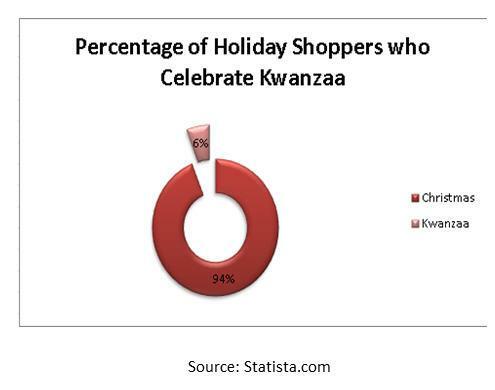 As more and more people celebrate Kwanzaa each year, the holiday will consume a larger market share. Kwanzaa is most often celebrated by an older generation – those born prior to 1982.